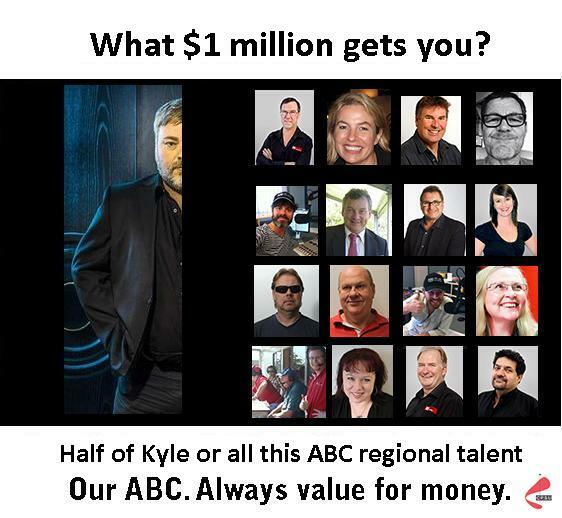 ABC – Value for Money! The Conversation 30th. 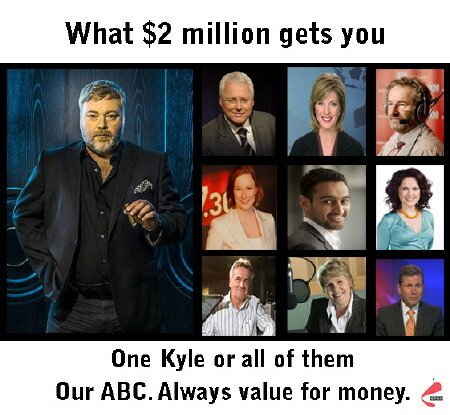 April 2014: Does the ABC deliver Australians good bang for their buck? Below is part of an email Get Up! sent out to its subscribers recently. It’s here because of the very first item in the list! I’ve included the rest for context. “It was the most exclusive of events: a glittering $500 minimum per head gala fundraising dinner last week for a right-wing think tank. Tony Abbott, Gina Rinehart and Rupert Murdoch took turns sharing the stage. Andrew Bolt was MC. Tony praised his fellow key-note speakers, especially Rupert, and promised the crowd a “big yes” to many of the think tank’s list of 75 policies to radically transform Australia. “So what, exactly, is on this think tank’s wish list? For Friends of the ABC, item 1 is of deep concern. Tagged ABC, FABC-WA, FABCWA, Friends of the ABC, Friends of the ABC WA, Get Up!